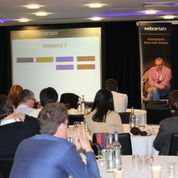 The International Search Summit digs deeper than any other event into the topics and issues that matter to international search marketers. 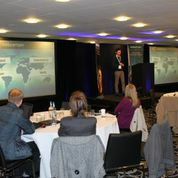 ISS Munich is the ideal event for anybody involved in running, implementing or managing online marketing projects in more than one language or country. Led by the international search specialist’s at Webcertain, with the help of some special guests, it’s a full day of international content guaranteed to give you new insights, tactics and techniques to help improve your global website performance and return on investment. And much more! Join us at SMX Munich on Monday 16th March to really take your global campaigns to the next level and grow your business around the world! We'll set the scene for the day with a look at the latest developments from the major global search engines and what that means for search marketers. We all know the opportunities for businesses expanding into international markets are big - but just how big? Here we'll investigate some of the biggest and fastest growing global markets and identify the key opportunities for savvy organisations. Google remains the world's largest search engine, with a leading market share in many, many countries. Therefore, ensuring that you’re giving the search engine the most accurate information about each language and country you’re targeting will result in your users around the world having a better experience on your website. John will look at the latest international developments from Google and share some top tips on creating an effective international presence. Russia is Europe's largest internet market, and its homegrown search engine Yandex is the market leader, making it an essential channel for any organisation wishing to reach a Russian audience. Dominik will share insights into this intriguing market and demonstrate how to get the most out of a presence on Yandex. There is a lot to consider in international keyword research - from search engines to user behavior to language differences and peculiarities. We'll explore the factors to consider and share tips for achieving the most effective results from your keyword research activities. One of the major challenges for global marketers is achieving scale and finding an efficient and effective way to target multiple countries and languages. Nicolas Stadtelmeyer will share his experience of launching fashion brand Stylight internationally, discussing the approach they took to internationalisation and how they achieved scalability across markets. When launching a website in a new country, its essential that SEO factors are taken into account to ensure this new site will be visible to relevant users in that market. Rahul will share tips for ensuring you tackle any issues as you launch, to avoid challenges and poor performance further down the line. Understanding who your target audience is and what makes them tick is key to developing a relationship with them, and ultimately turning them into customers. We'll look at how to identify key personas in each target market, and then how to create targeted, relevant content which will engage with them and help you achieve your goals. Share your experiences, hear from your peers and discuss the topics, questions and challenges that matter to you! This session aims to ensure you leave ISS with all the answers and insights you came to find! Born & raised in India, Rahul comes from a background of production engineering, six sigma & knowledge transfer studies. He became a part of CupoNation in 2012 and now heads the Global SEO department with an in-house search team of 50+ amazing people. His speciality area includes SEO strategy, online market analysis, user experience optimization & in-house team management. His interest lies in affiliate marketing, Internet of things, SEO experimentation & process automation. Dominik Johnson is Key Account Development Director at Yandex. In this role, Dominik forges, develops and reinforces the company’s partnerships with the leading brands and digital agencies in Germany and Europe. Dominik is one of Germany’s top-100 managers, according to Werben & Verkaufen (W&V), the country’s leading magazine for marketing and advertising. He is also a contributing author at a number of online publications on search engine marketing and a sought-after speaker at industry events and conferences in Germany and around the world. Before joining Yandex, Dominik served as Executive Manager at a full-service international performance-based marketing agency, where he was initially responsible for social media marketing and then took on an executive role. He is credited with building a global network of independent performance marketing agencies. With over ten years of experience in digital marketing, Dominik has a deep understanding of the market and a prescient sense for new trends and initiatives. As the Research Manager of multilingual web marketing agency Webcertain, Immanuel heads up the company’s global market research activities and large content marketing projects. He is the author of several reports and guides, including ‘The Essential Guide to Rel-Alternate-Hreflang’ and ‘The Webcertain Global Search and Social Report 2013’. Apart from being a tutor at the International Marketing School -- teaching online marketing professionals on business opportunities around the globe -- Immanuel is a regular speaker at the International Search Summit, a leading event series dedicated to multilingual search and social media marketing. 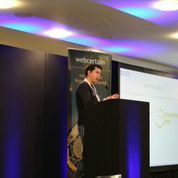 He also writes for Webcertain's multilingual search blog. Born and raised in Denmark, Immanuel now lives in Barcelona. Nicolas Stadtelmeyer is Executive Vice President at STYLIGHT, a global fashion discovery & search engine. In his role he is responsible for operations & marketing across the 14 markets STYLIGHT is active. With his team he is working on expanding STYLIGHT globally and building the best fashion destination.